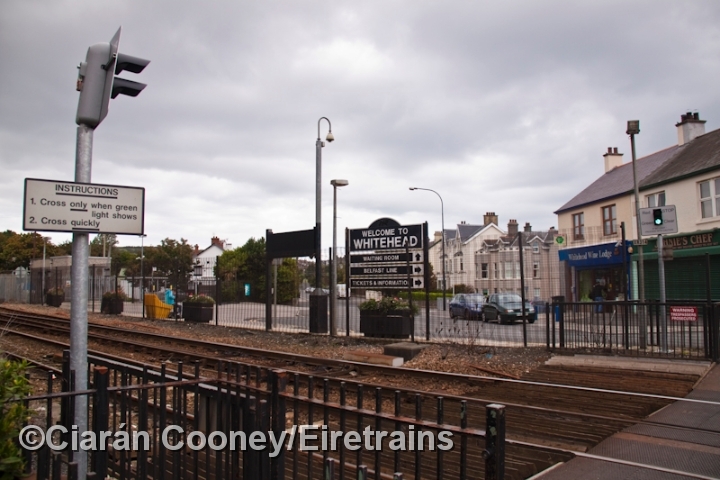 Whitehead, Co.Antrim, is located north of Belfast on the Belfast & Northern Counties Railway line to Larne, which was opened in May 1863, and was taken over by the Midland Railway in 1906, becoming part of the LMS NCC lines. 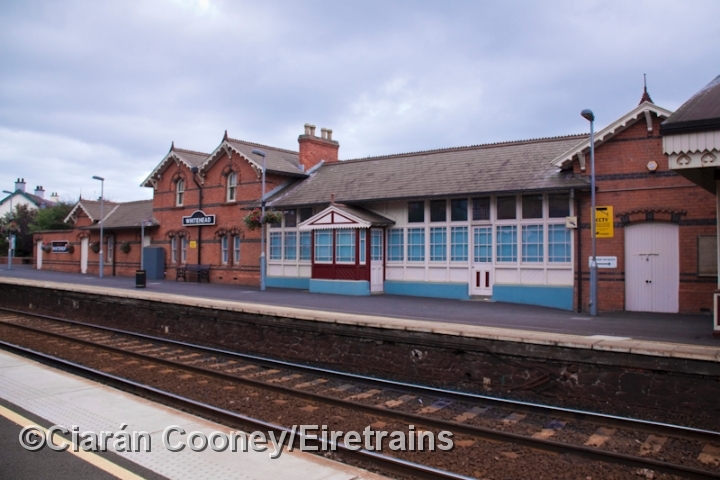 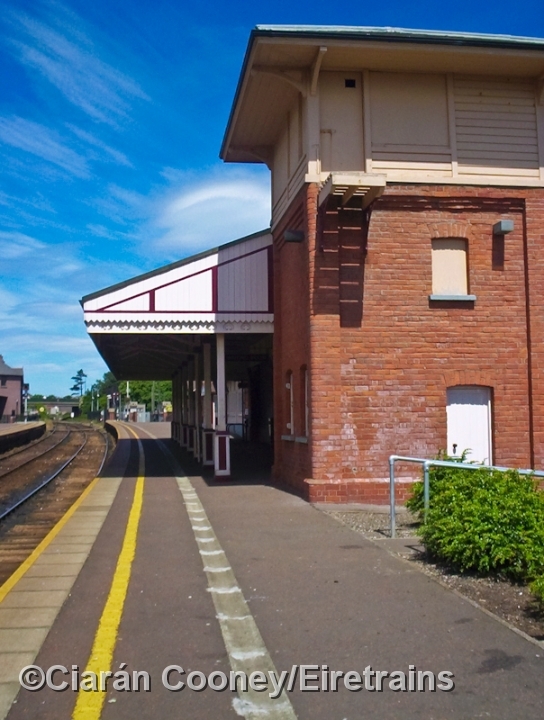 The station at Whitehead has up and down platforms, and its original BNCR brick built station buildings, complete with canopy, were restored a few years ago. 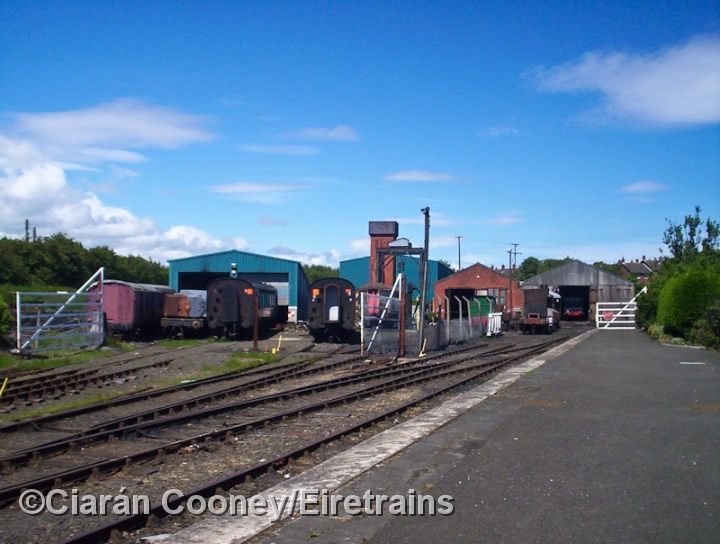 The typical tall BNCR signal cabin was closed in 1988 when CTC signalling was extended north from Belfast. 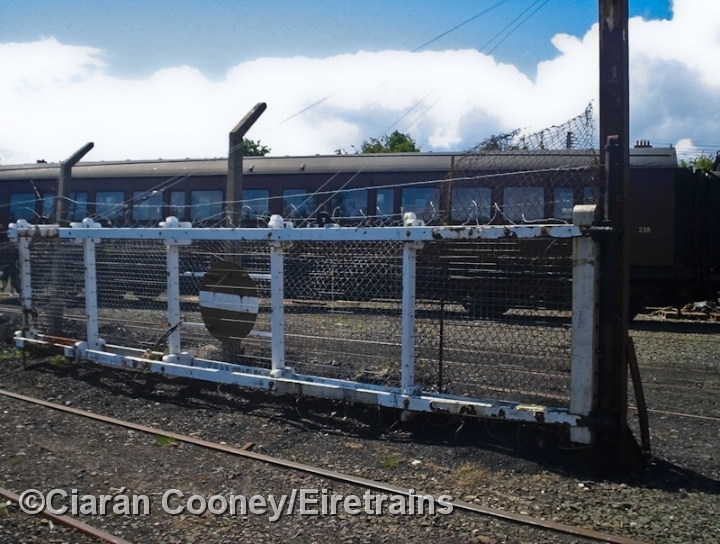 North of the station an excursion platform was built in 1907 by the NCC, but it had fellan out of use by the 1930s. 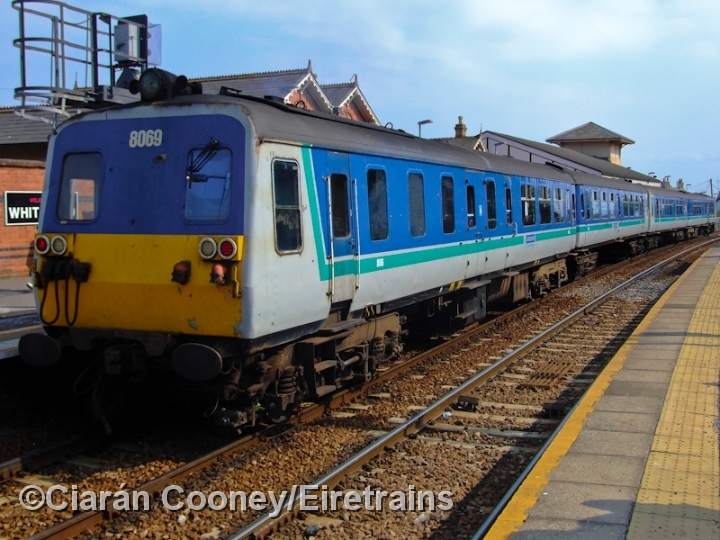 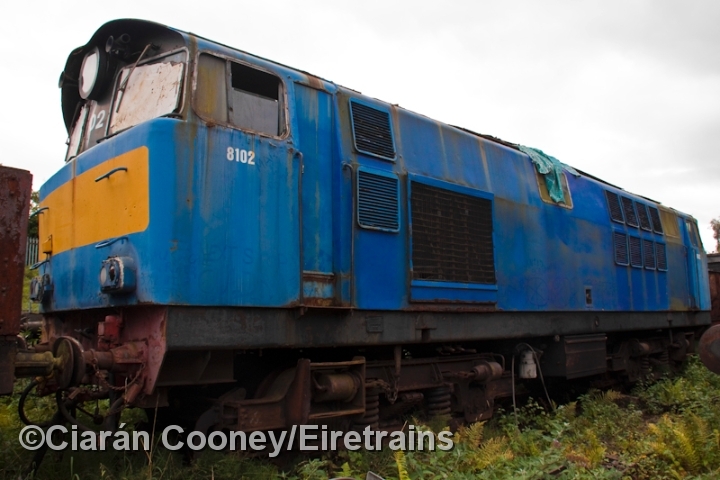 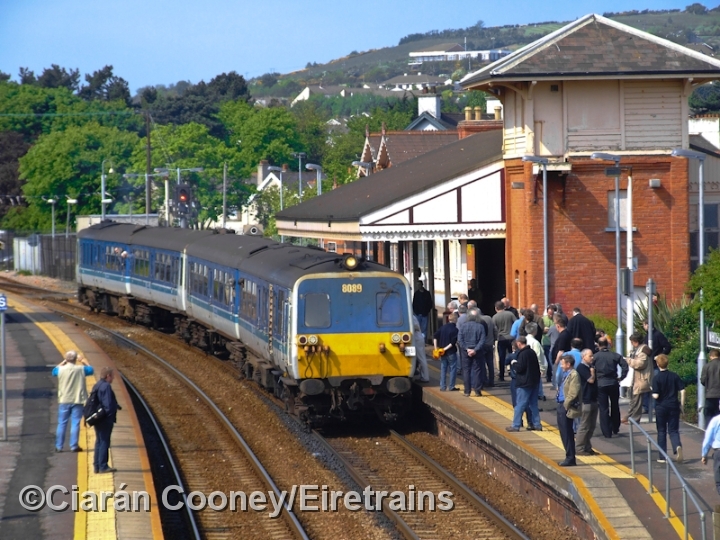 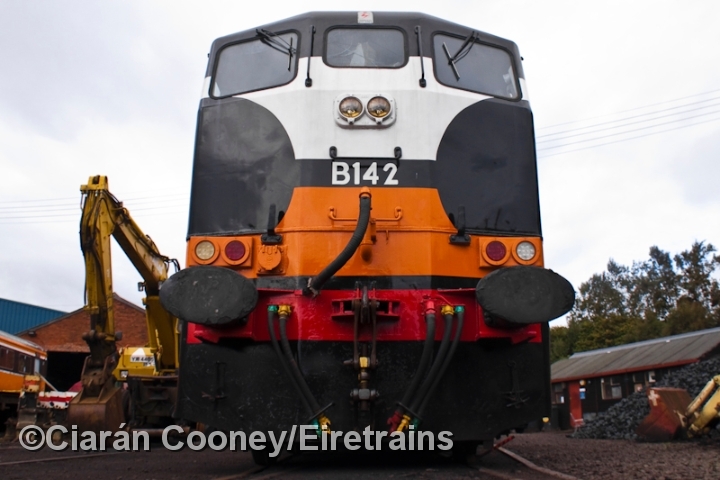 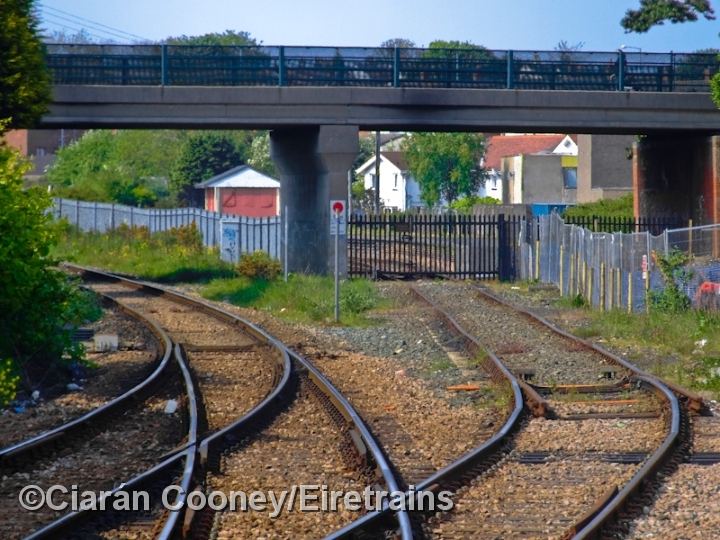 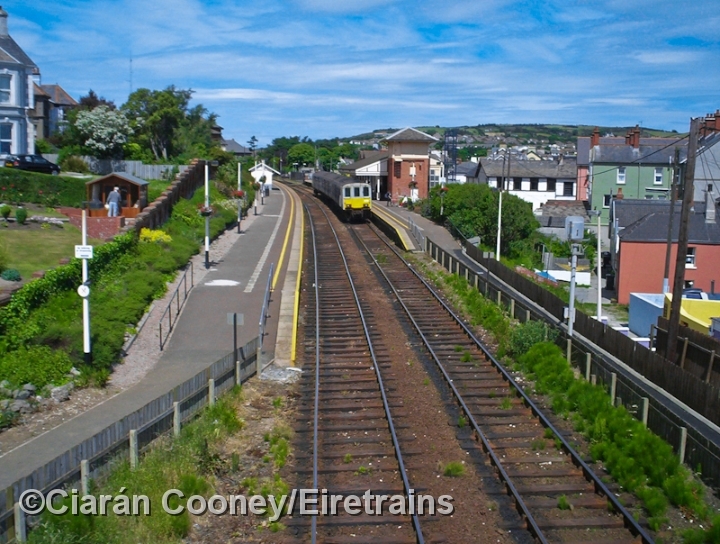 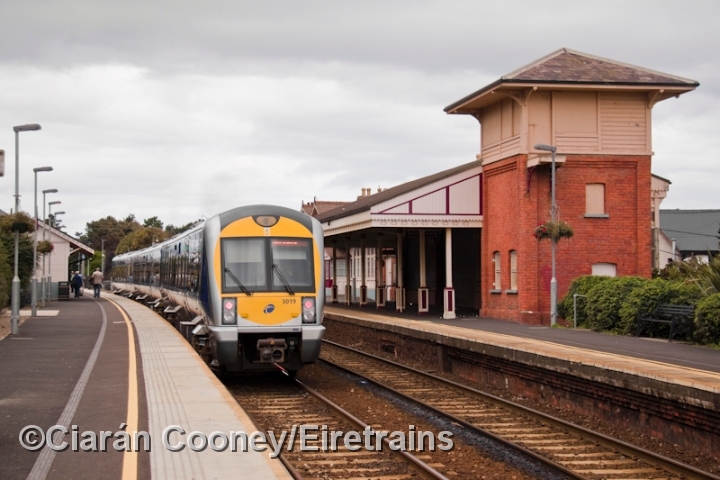 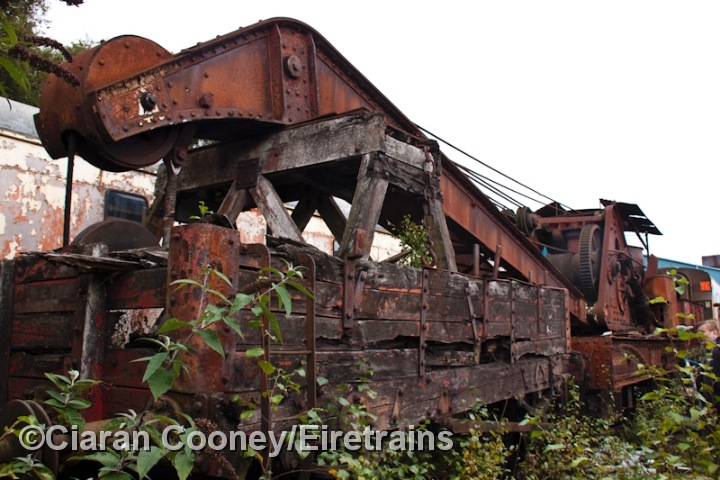 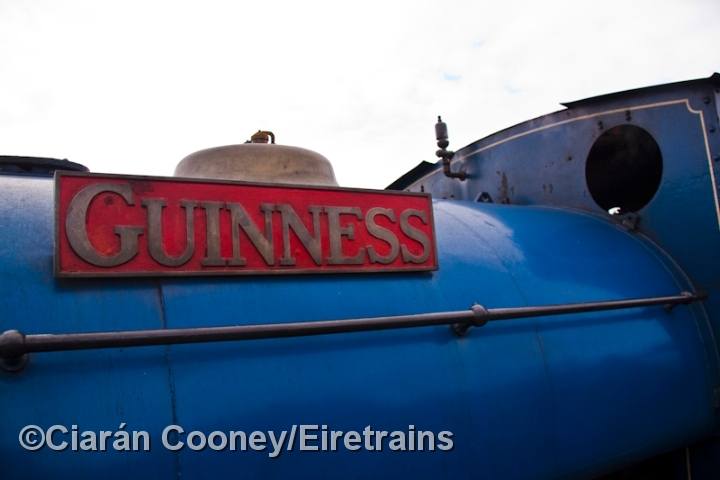 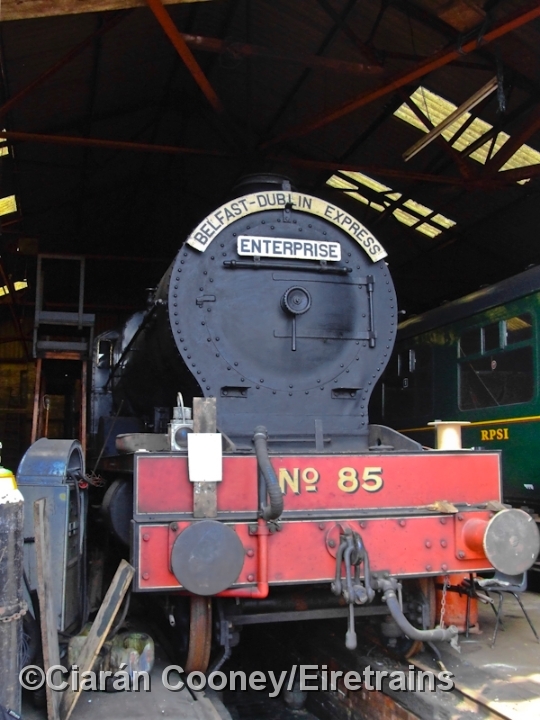 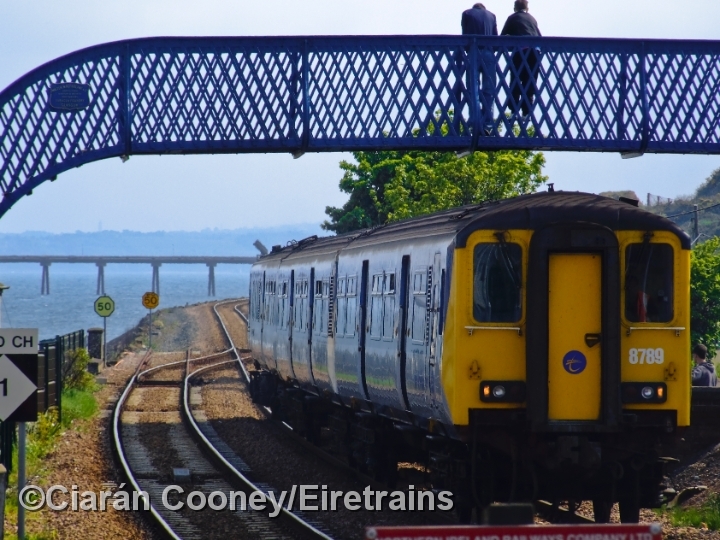 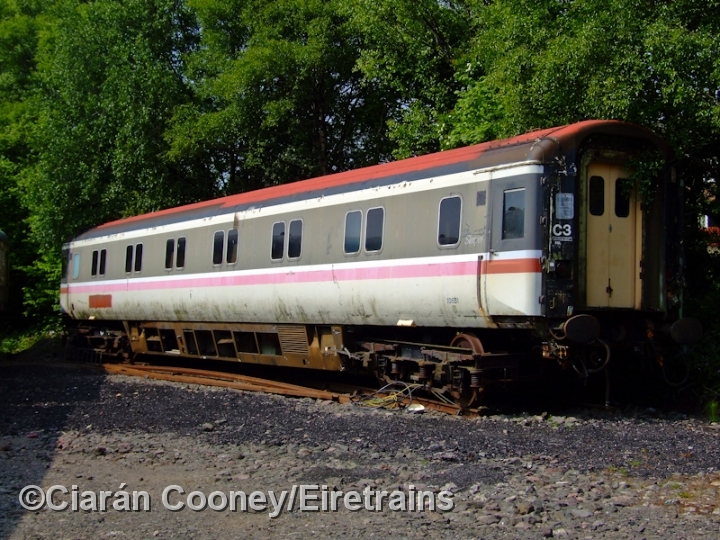 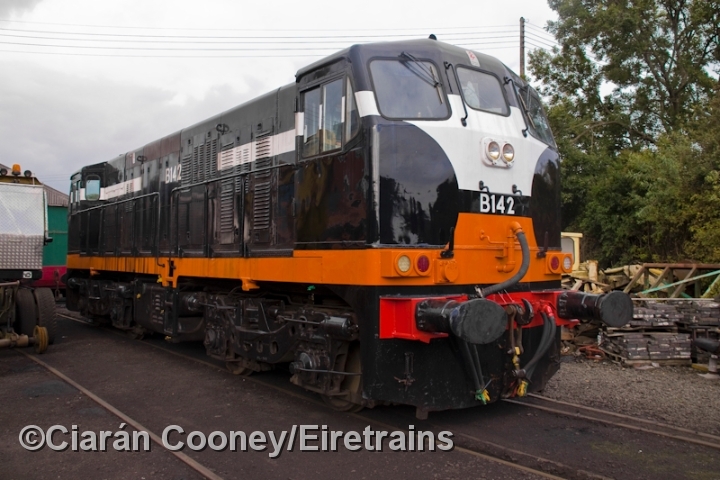 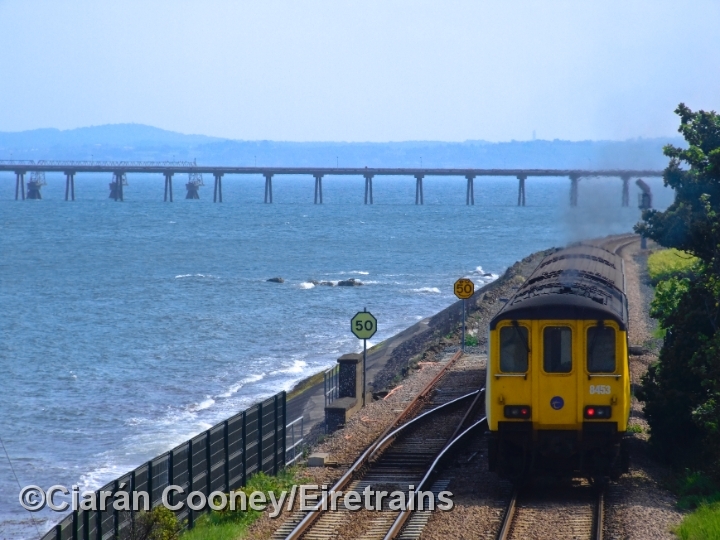 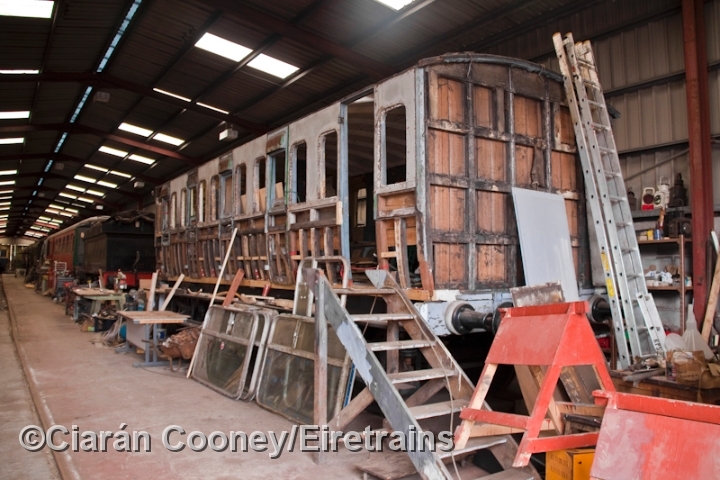 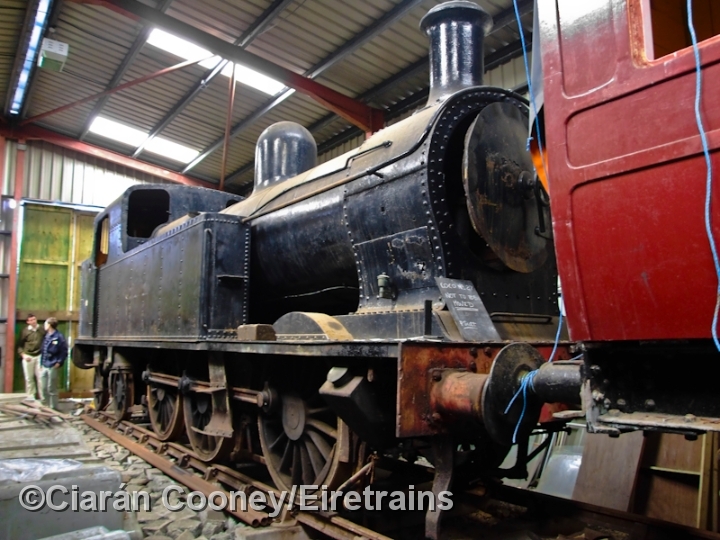 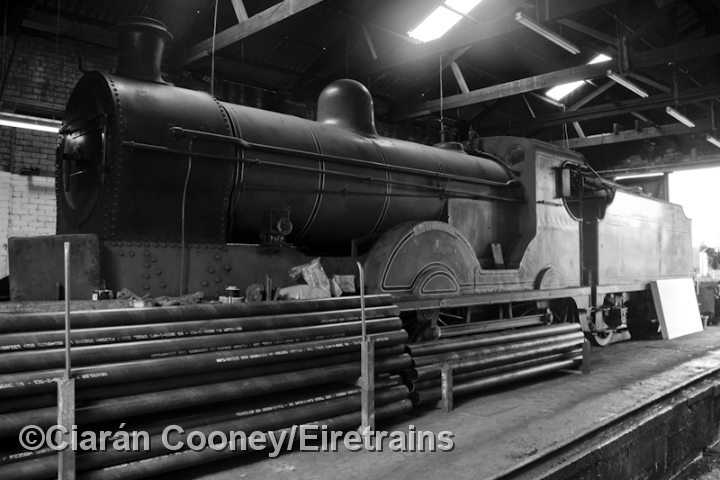 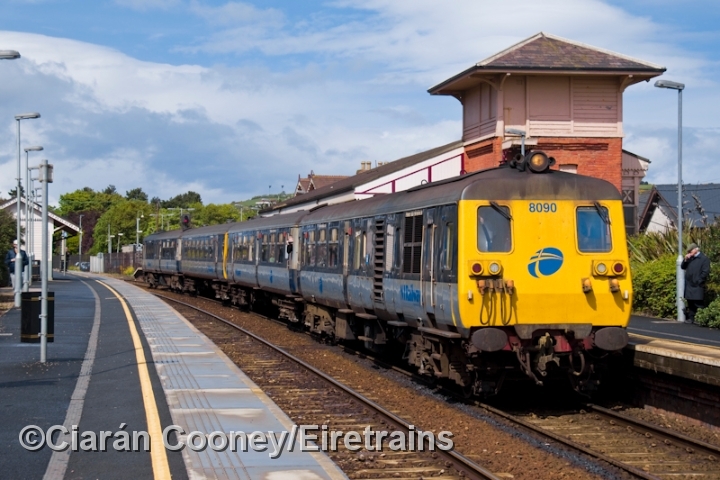 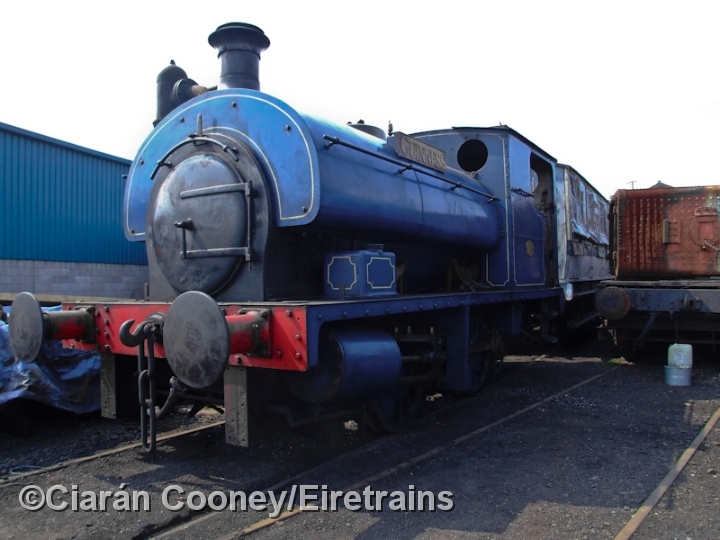 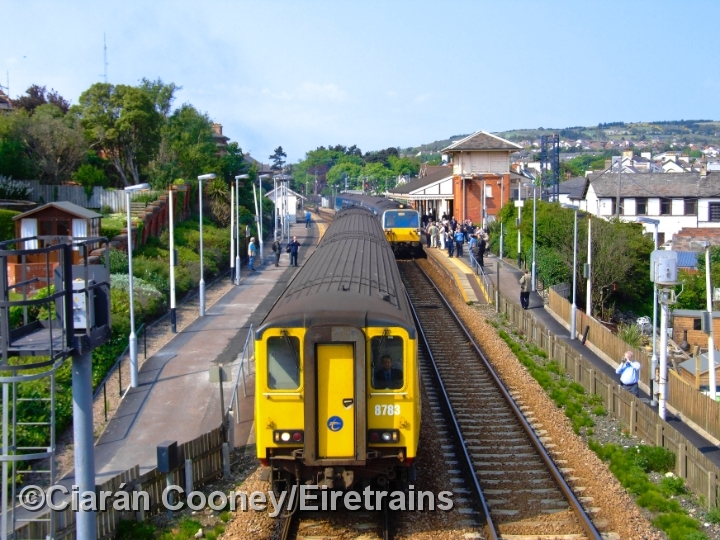 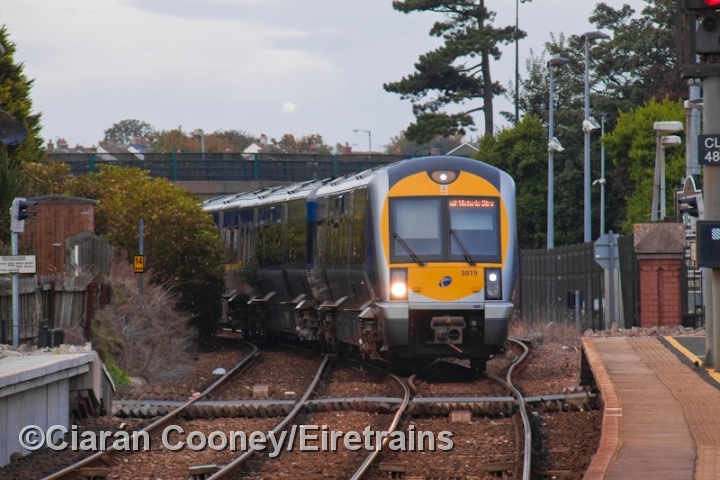 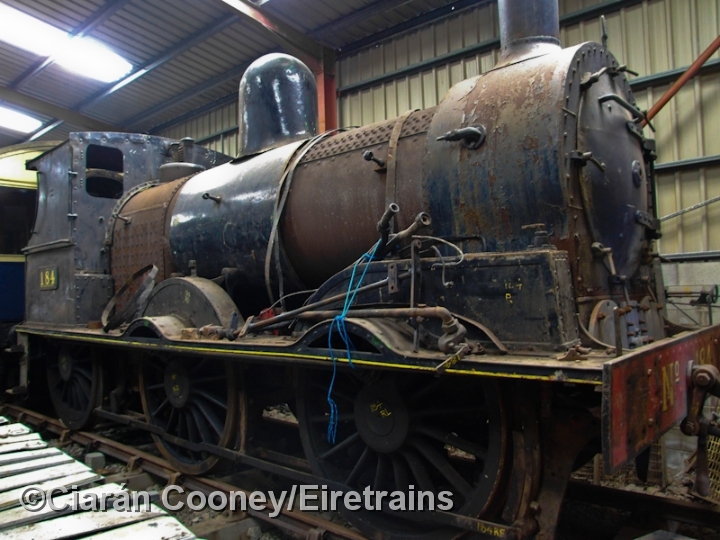 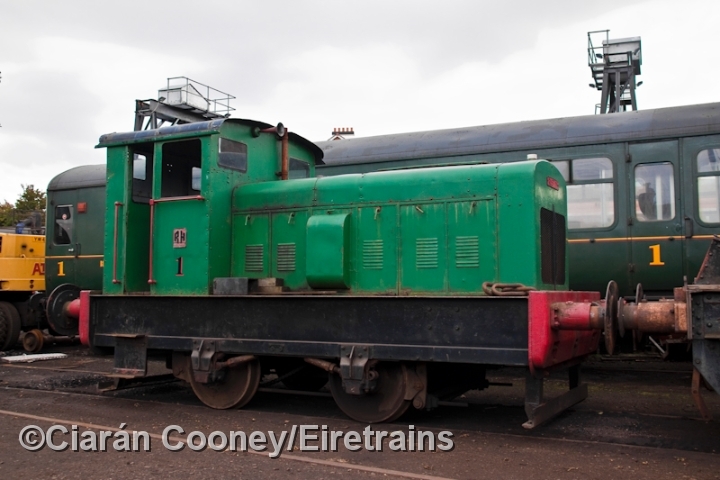 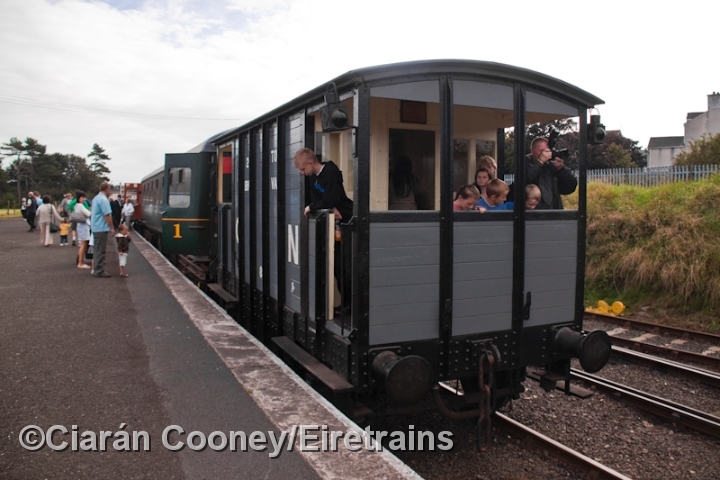 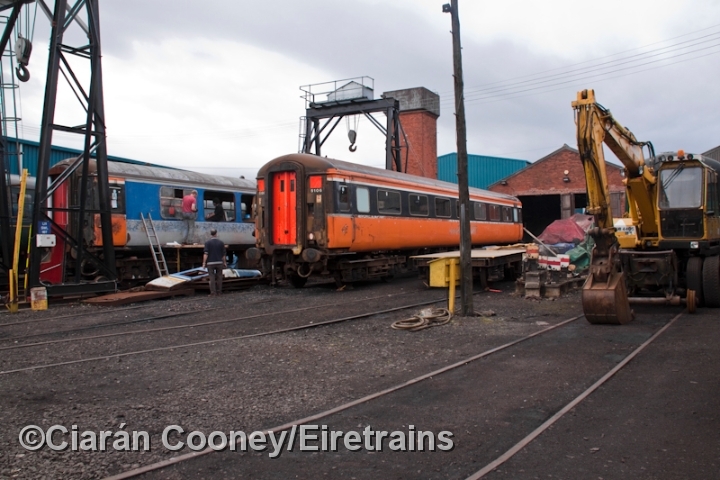 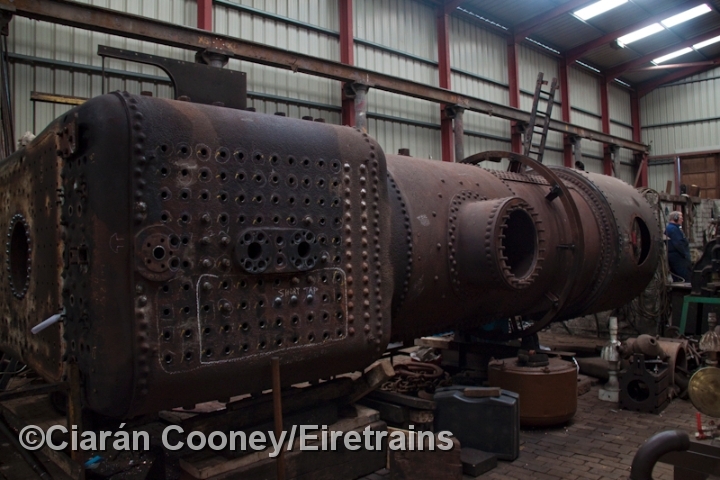 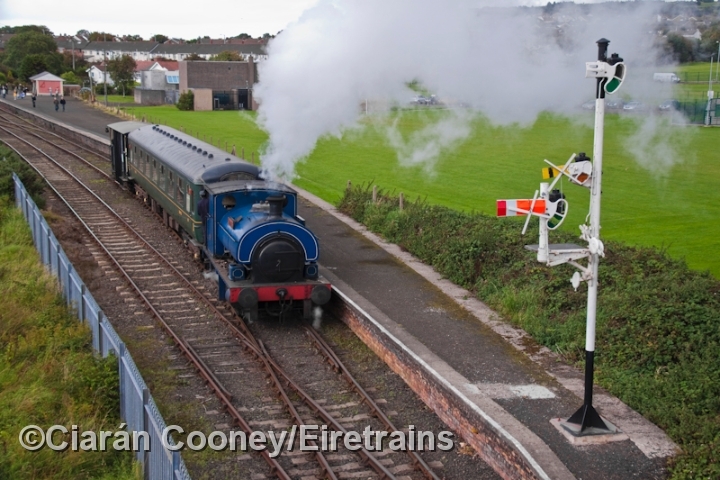 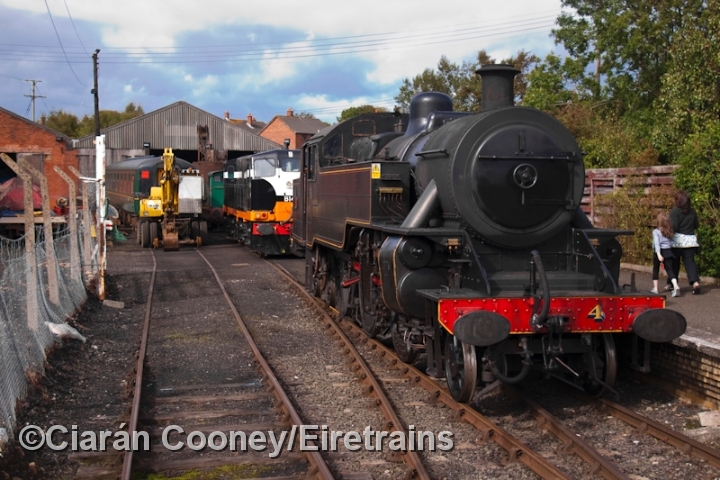 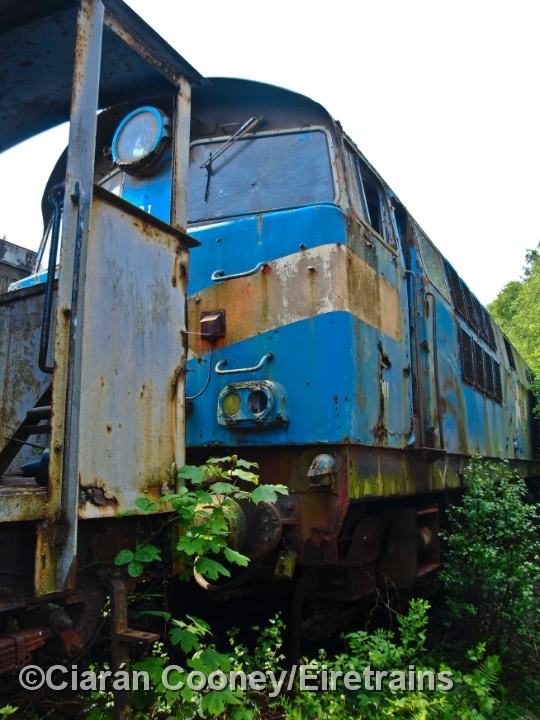 The excursion platform is now owned and used by the Railway Preservation Society of Ireland, who have established their northern base at Whitehead since 1965. 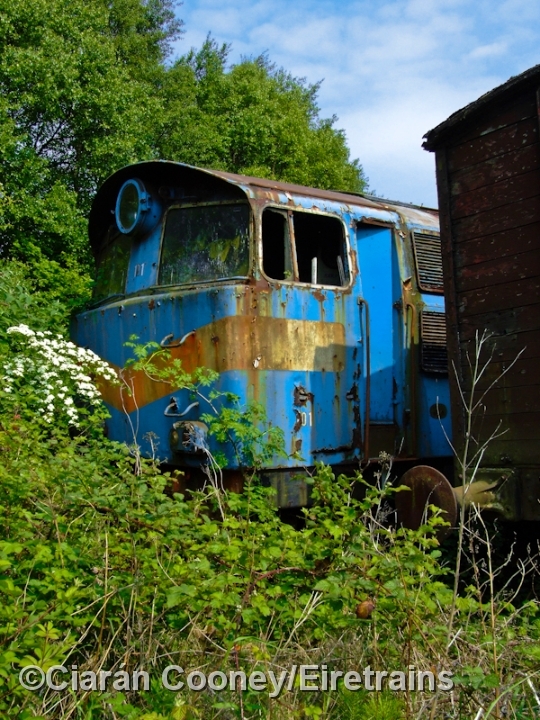 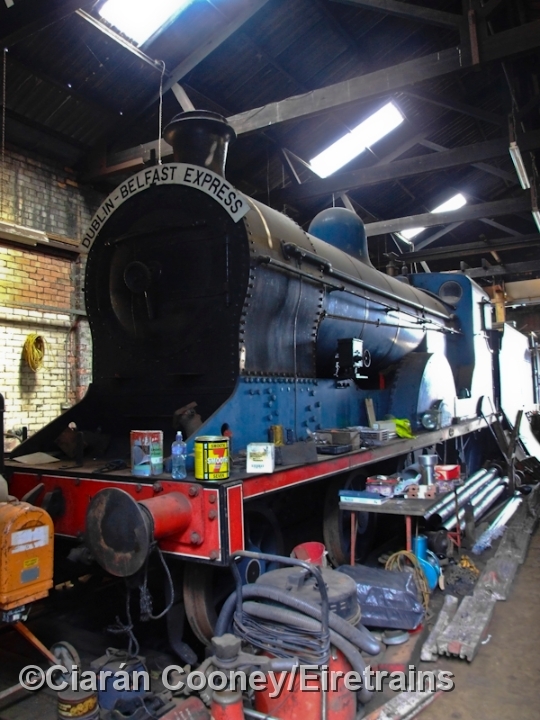 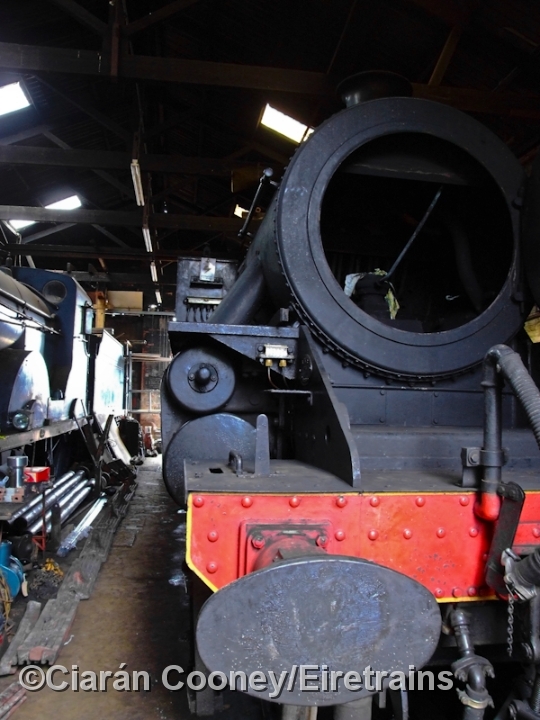 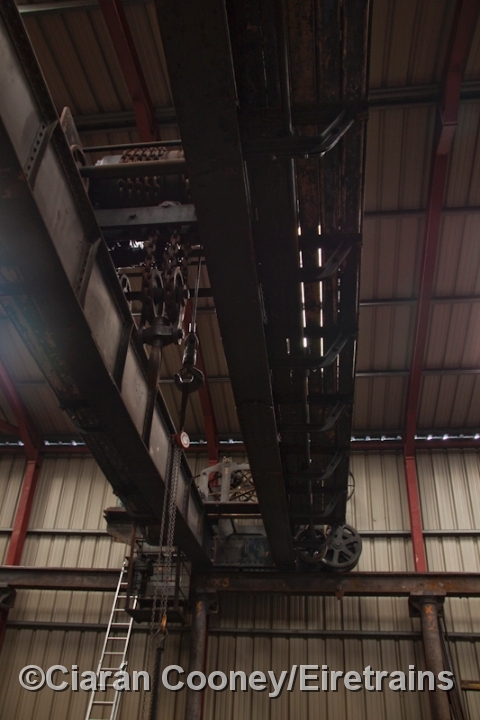 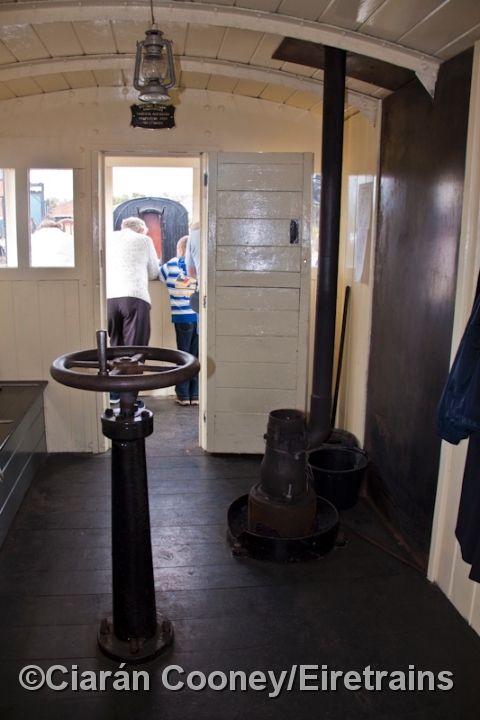 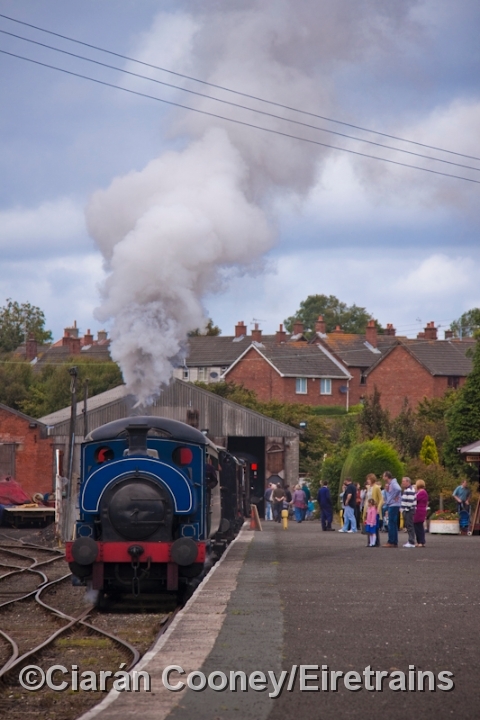 The base contains a yard, engine & carriage sheds, as well as workshops. 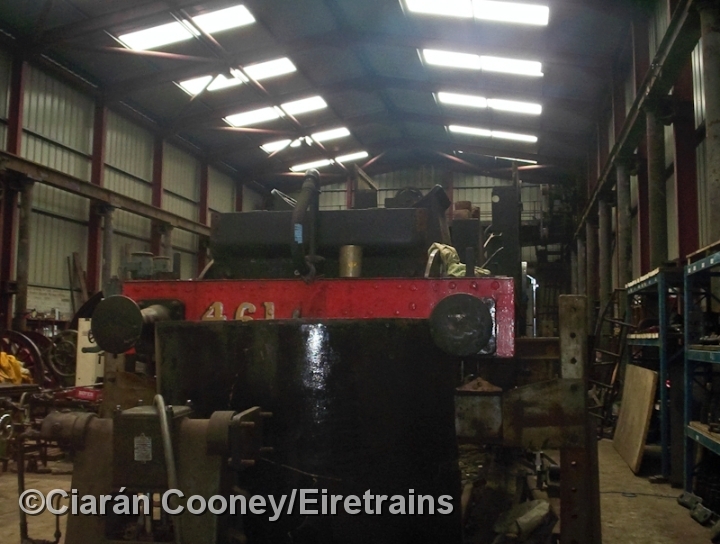 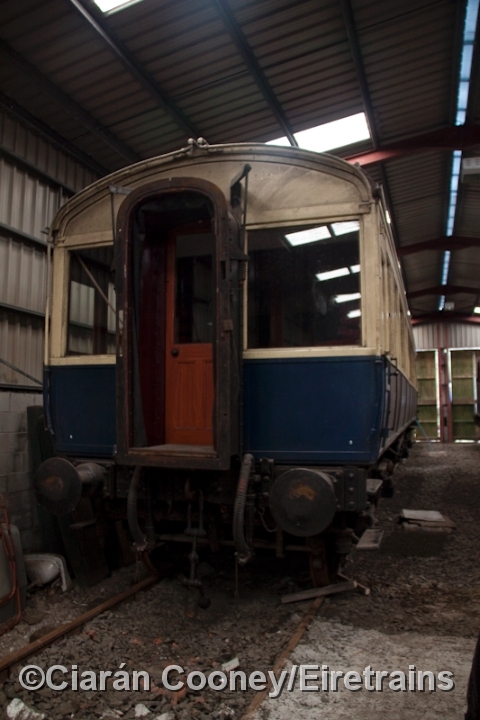 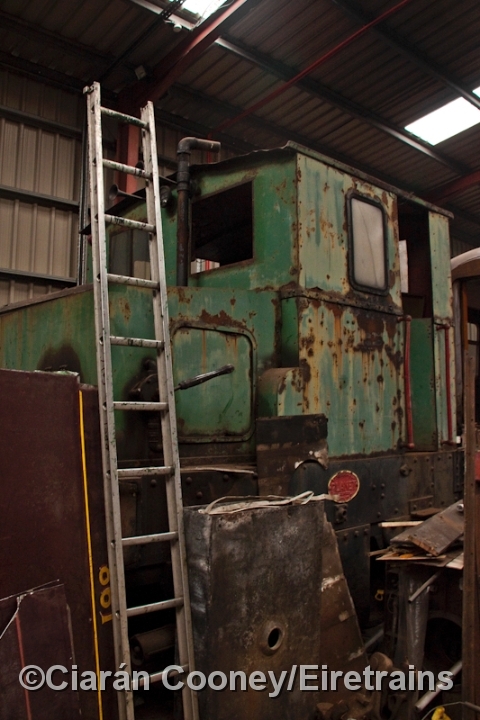 Several of the society's locomotives and rolling stock are stored here and are awaiting overhaul and restoration.